Taste and Create remains my favorite event in the whole blogging world. Every month, Nicole pairs you with another blog. You get to know your partner, then pick a recipe from their blog and recreate it. And this has been going on for three whole years. To celebrate the event's birthday, Nicole added a rider. She asked us to create a dessert from our partner's blog. I've got to know some lovely bloggers through this event, none of which I would have discovered on my own. Like my partner this month - Glenda over at Busy at Home. This grandmother of three blogs about a lot more interesting things than just recipes. And her recipes are all a delight. At first glance, I shortlisted her chocolate cobbler and cheesecake stuffed strawberries. The first time blueberries made an appearance on Mumbai store shelves last October, I was fresh back from a trip to London. Having spent a week eating these berries for all breakfasts and most dinners, I kept away from the very small yet overpriced packs. Almost a year later, blueberries are back in Hypercity. One of the very few naturally blue foods, blueberries are a little tart, a little sweet. I enjoy my dalliance with strawberries and an occasional date with raspberries, but these little nuggets remain my biggest love, my all-time favorite fruit. The first week, I cringed at the high prices in Hypercity. But it's been a whole year of no blueberries so this second week, I finally succumbed and brought a pack home. And let me confess I've been back to the store a few more times. Do you think I'd be my baker self and post a blueberry tart or at least a muffin. No way folks; I don't mess with perfection. Instead, I'd just go grab another handful. When I think of vineyard tours, I think of Peter Mayle. I also think of idle rambles through acres upon acres of land planted with grapes and olives, a seat by the countryside fireplace with a wineglass in hand. In that sense, last weekend's trip to Sula Vineyards in Nasik, some 5 hours drive from Mumbai, was a disappointment. But for the camaraderie, the company of friends, the green ghats and impromptu waterfalls that spring up all over Maharashtra in monsoons, and also for a novel, enjoyable experience, it was worth a visit. It is, as I said, a good 5 hours drive. We were sensible enough to leave early in morning, reaching Sula around noon. The place to start with is a wine tour - a short spiel on how many acres they have spread all over (but very few where we were standing) and then a succint tour of the plant where they process the grapes and ferment the wine. This followed by a wine tasting - of six recent vintage, barely passable wines - took around an hour. 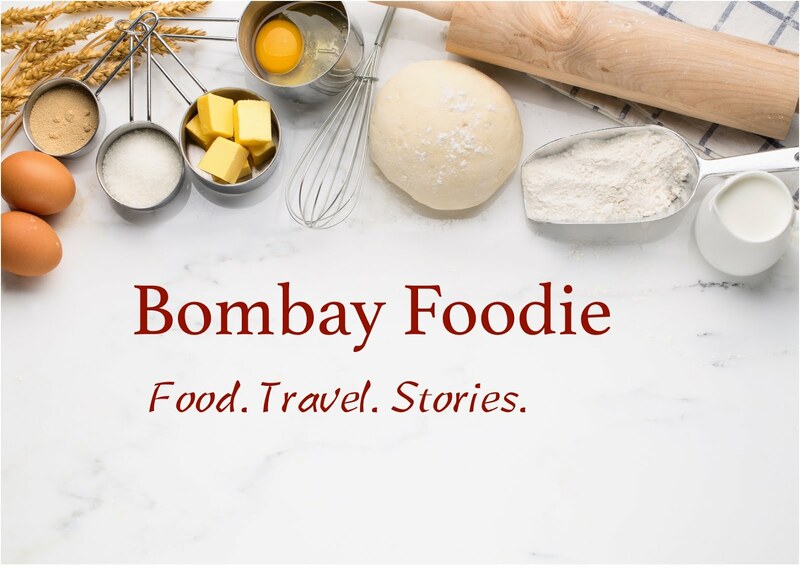 No new post at Bombay Foodie, but I'm visiting Nachiketa's blog today to join the run-up to her 200th post. Hop over to crazy over desserts to know how I met this cute blogger from Delhi. And there's a recipe too, of course! I baked something that reminds me of her - Lime and Poppy Seed Muffins. Herbed Goat Cheese : It's not goat cheese, it's my homemade Neufchatel. I scooped out little balls of cheese with a melon baller. Finely minced fresh thyme and rosemary, added a pinch of salt and a bit of olive oil, then rolled the cheese balls in the herb mixture. Spinach : Not happening. You don't get baby spinach here, and there's no way I was putting cooked full-sized spinach in my salad. So you get oak leaf lettuce instead. This month, our book club goes on a nomadic tour. We traveled with Rita Golden Gelman, a writer who sold everything she owned after the shock of a divorce and became a nomad. Not a tourist, because Rita stays away from everything that a tourist does and instead, tries to live the lives of people she visits. From Mexico to Israel to Galapago Islands, Rita goes the way least traveled, always preferring to stay as a boarder with natives. And sometimes, going to places not even locals will go, places so secluded yet beautiful that Rita's description takes your breath away, urges you to become a nomad yourself. Yet even nomads sometimes find their roots. Rita found hers in Bali where she spent eight years. Starting as a boarder with a prince, she eventually became a part of the family. I instantly knew I wanted to cook something Indonesian. I picked Nasi Goreng, the Indonesian fried rice. Until very recently, I thought a coffee cake meant a coffee flavored cake. Go ahead, laugh all you want - I was quite confused when I saw all those nut and cinnamon cakes with not a drop of coffee in sight. So that's when I realized we were talking about cakes you eat with coffee. Cakes usually topped with a delicious buttery crumble mixture. This first coffee cake I baked also happens to be my best cake so far. I can't personally vouch for this being the best coffee cake in the world, but who am I to argue when the Pioneer Woman says so. It's also pretty simple to put together. I halved the original recipe to fit my 7 inch round pan but remember that it calls for 3 eggs so it might be a bit tough to halve (I spilled half an egg white when separating eggs so you can say it was purely accidental in my case).